Sita was NHEDF’s first fistula patient. Sita comes from the district of Ramechhap which is southeast of Kathmandu about half way between Kathmandu and Dharan. She has been living with a fistula for 21 years. As a consequence of her fistula, she experienced total neglect and rejection from her family having been thrown out of home many years ago. She took her son to Kathmandu, lived on the streets and survived by selling goods on the footpath. Her son is now grown up and has been able to get work in Saudi Arabia. His income there is very small and so far he has not as yet been able to send any money home to his mother. With the help of Fistula Free Nepal, Sita recently had her fistula operated on. She has nowhere to live but a “pidi” which is a Nepalese term for “outside the house”. She had an open wound and in May 2018 was admitted to NHEDF for wound care. Two weeks later she was discharged, having been offered the opportunity to later join a team of NHEDF patients who will work for a Days for Girls Enterprise we are facilitating called Circle of Hope. Unfortunately for Sita, surgery was not successful. 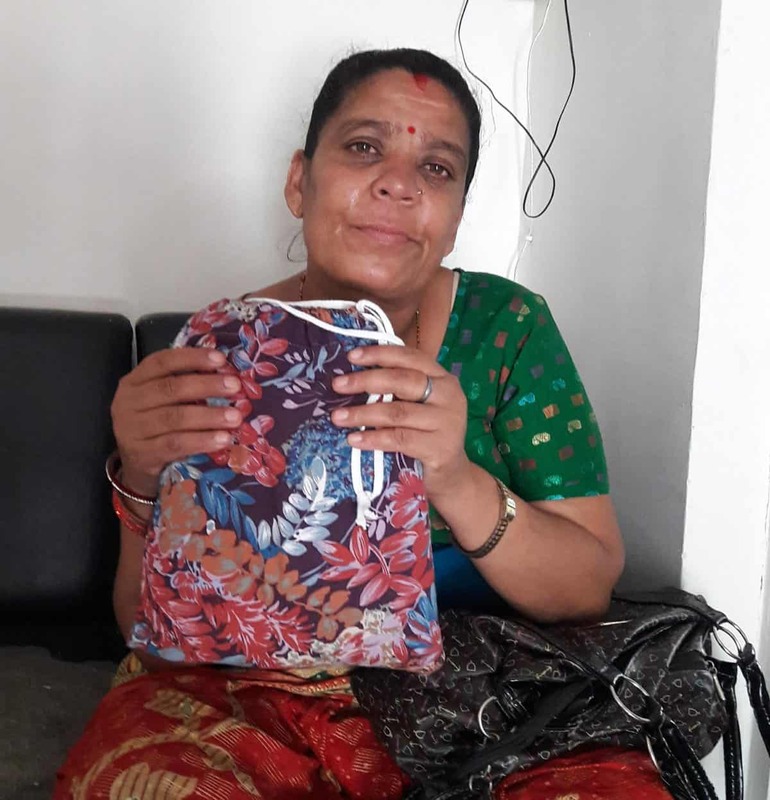 NHEDF has provided her with incontinence products which she has never been able to afford. Sita knows she can contact NHEDF or Fistula Free Nepal if she would ever like to work for Circle of Hope or if she ever needs medical care again. Next Next post: Read another patient story about Budhi Bahadur who was injured during the course of his work in Malaysia.